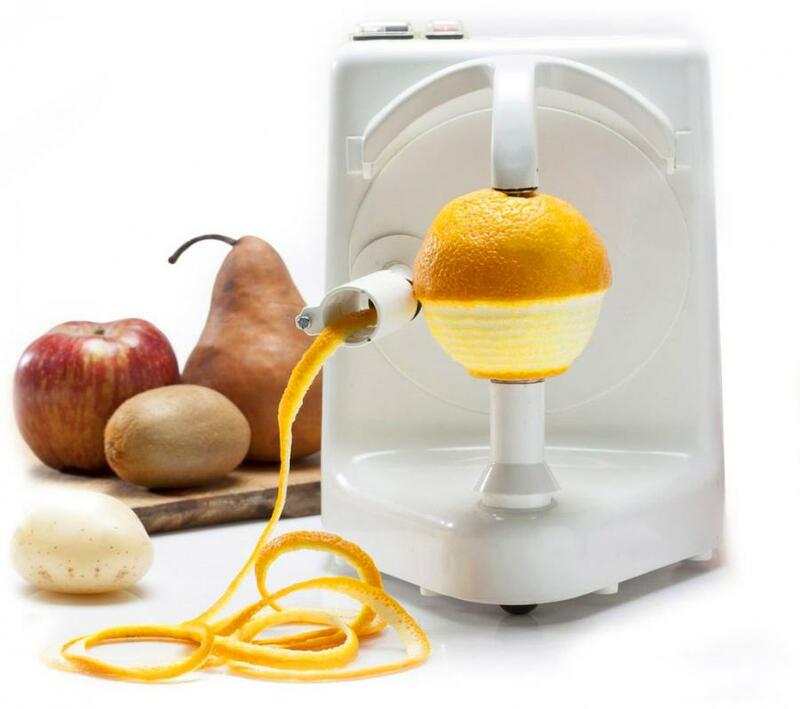 Peeling oranges is tough work, you first have to make the initial puncture through the orange peel, and then sometimes the skin just doesn't like to come off in one piece, which makes it take a lot longer than it should. 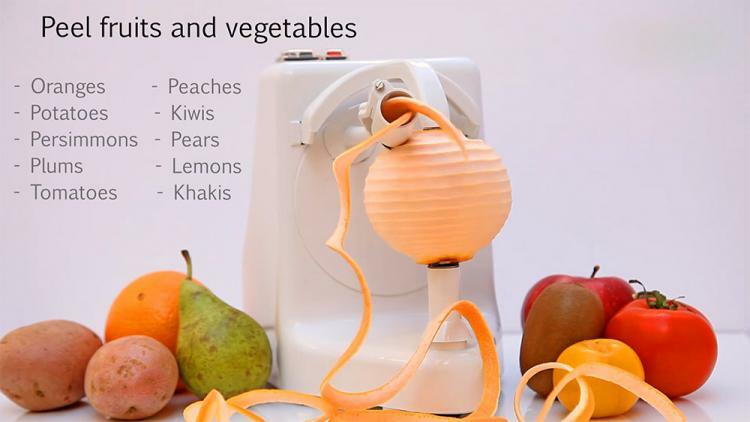 Not to mention the orange peel pieces that get stuck underneath your fingernails. Oy Vey! What a first world problem we have here. This company makes incredible machines that will not only skin oranges and other fruits, but it will even remove the second layer of skin, leaving nothing but the fresh orange goodness inside. 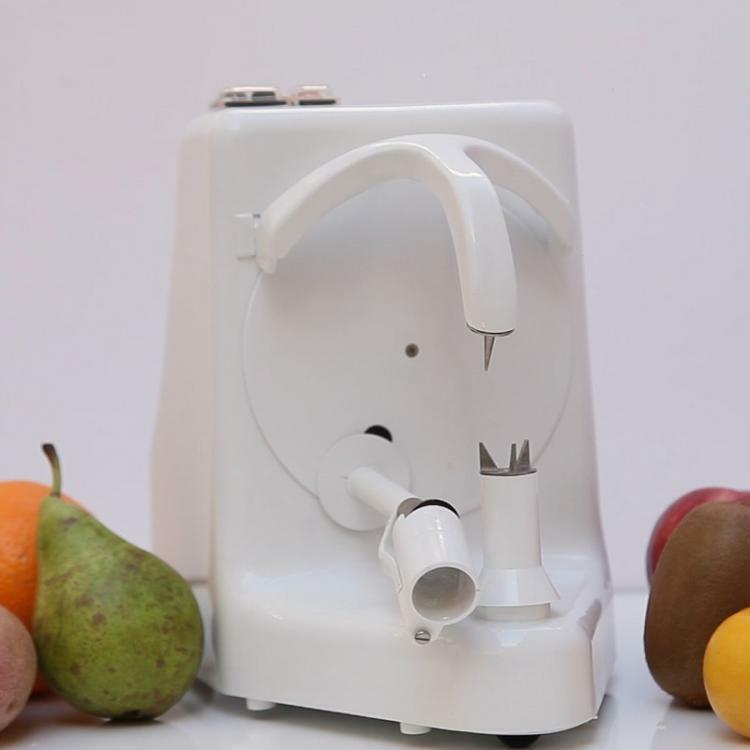 To use it, simply place a piece of fruit in between the two arms of the device. The top arm will have 1 spike, and the bottom will have multiple spikes. 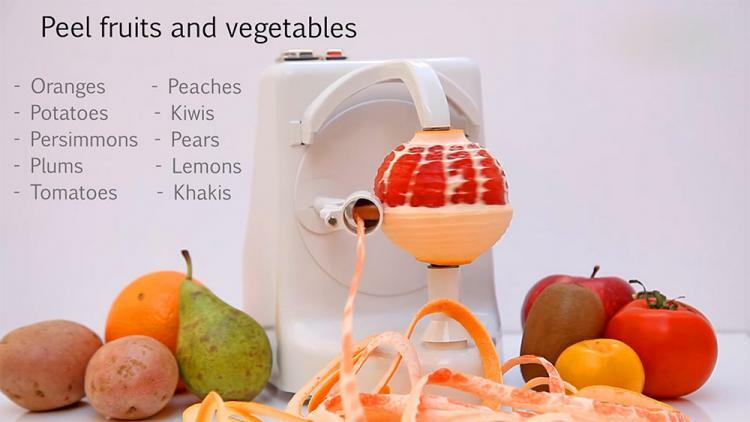 The bottom arm will turn the piece of fruit around, meanwhile a third arm will drag itself up and down the length of the fruit until the skin is completely gone. 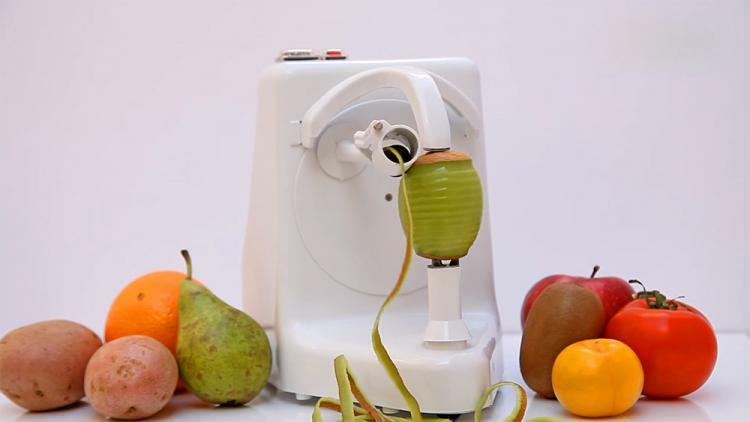 The Pelamatic peeler is able to peel any type of fruit or vegetable that's spherical in shape, and works perfectly on oranges, grapefruits, pears, apples, plums, lemons, kiwis, peaches, tomatoes, potatoes, aubergines, limes, and more. 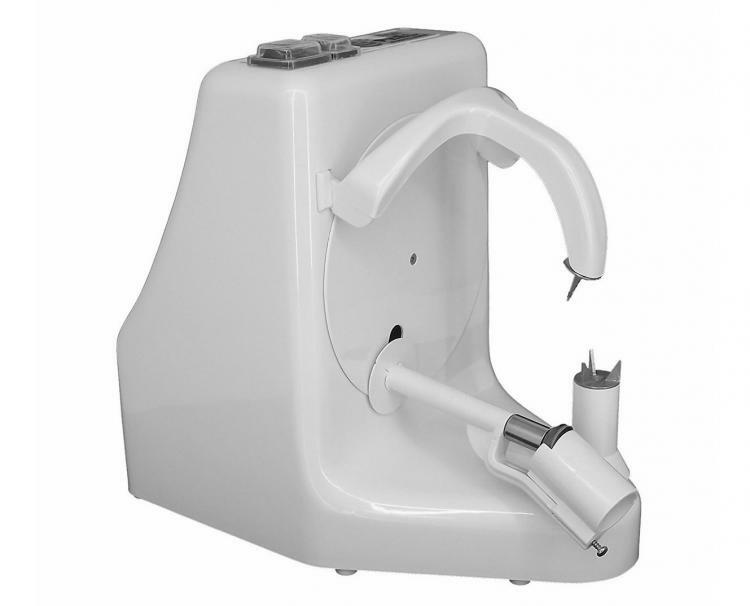 The Pelamatic professional fruit and vegetable peeler is the best home peeler on the market, and uses a stainless steel trident and centering device to hold your fruits and vegetables perfectly in place while the outer layer gets removed, leaving nothing but the actual body of the fruit or vegetable behind for consumption. 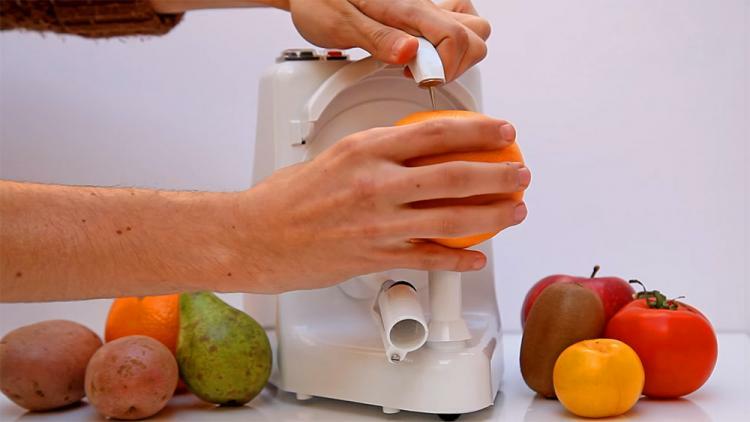 Check out the Pelamatic Orange Peeler Pro in action via the video below.